Giveaway on Instagram and upcoming event! A week ago a new giveaway was launched on our Instagram page: once our account has reached five thousand followers, we will draw a winner's nickname from a sackful of participants' tickets. 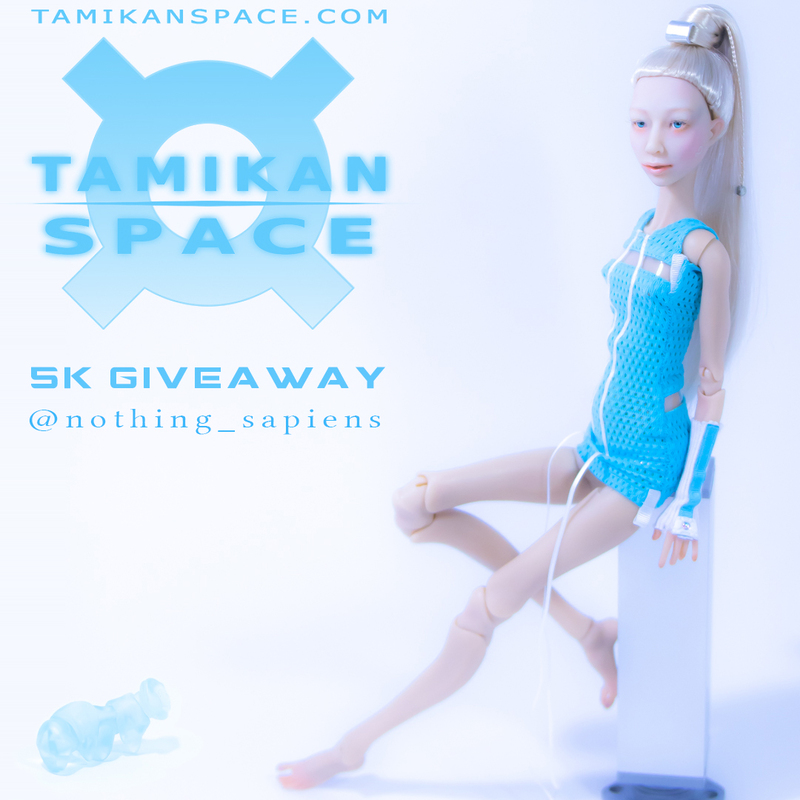 Please, feel free to join as it is a chance to win a Tamikan Space, Tatar or INO doll. We wish you the best of luck! And in less than two weeks, on Saturday, February 16th, we will be participating in Mythical Characters exhibition in Moscow, Sokolniki. Please, don't hesitate to come and say hello if you're there! Tamikan Space preorder is open! It is the end of the year and with this Tamikan Space preorder we've launched a winter holiday event as well: every one who will order a Humanoid girl (be it Gal or Aua) up to 7th of January will also get a present of their choice: a personal visor gadget or a newly born TinyTardie! Also, we were working hard to make a kind of advent calender out of this preorder and add something new, like several outfit items of the second location collection—and of course TinyTardies themselves—to the site and Instagram every couple of days. 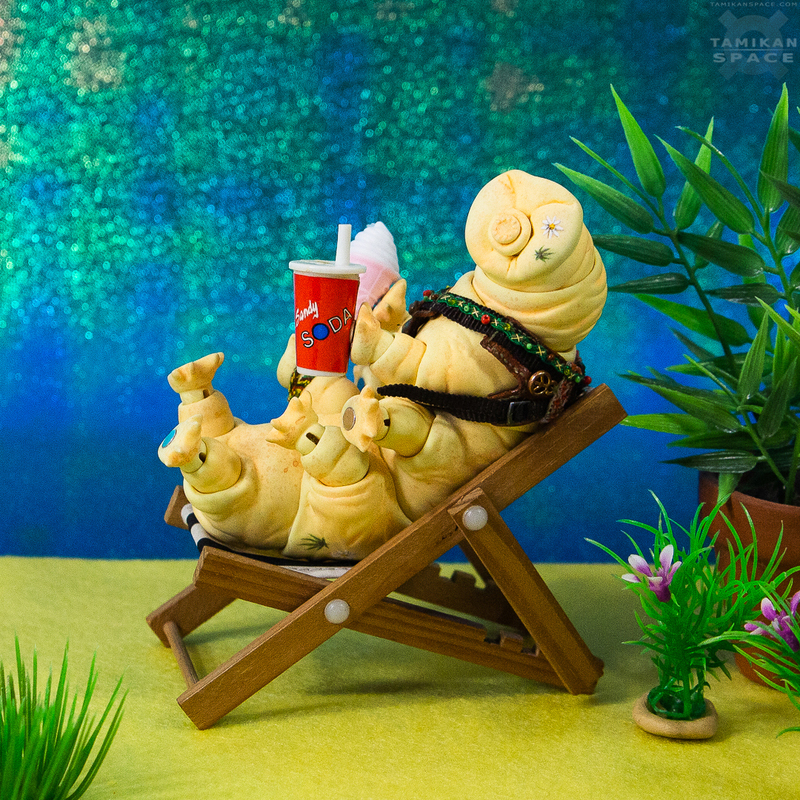 Among the first, for example, is this Hippie full set Tardigrade, who surely knows where and how to spend the winter season! We are offering Tamikan Space Gals Ife and Kaan together with up to 10 numbers of Cybe this time. Please, notice, that cyborg body parts are available for all the girls! There're more news and surprises on the way—stay tuned! Tamikan Space Gal Cybe preorder is now officially open! And since we're going to the LDoll festival in Lyon on October 27-28, we will close the online preorder since October, 22 at least to the second week of November. We are very sorry, but we had to put off the Tamikan Space Gal Cybe pre-order opening for a week, until 11th October. Anyway, you'll be able to see her at the end of this week from Friday to Sunday at the International Doll Salon in Moscow. And at the LDoll festival in Lyon at the end of October, too. But, please, notice that we are planning to close the online preorder before our trip to France! If your are going to visit the former or the latter, please, do come to say hello to us and to our earthlings, aliens and their pets! Cybe preorder starts October, 2! The Myth Characters exhibition is over and, as promised, we are opening the preorder for the new Gal on 2nd of October. Cybe will be limited by 42 pieces and will be available in a variety of sets: starting from basic new body and a human face—the same face without cyber elements—to a full cyber version. The price will also vary depending on the cyber elements included. We have two paint patterns: “White Metal” and “Dark Metal”, transparent elements may be clear or glowing in the dark. The skintone is up to your choice. The detailed pictures of Cybe sculpt and painting styles will be available on Tamikan Space website by the preorder opening. And we are showing the Gal—along with our other dolls—at the International Doll Salon in Moscow, October, 5–7. This Sunday, September, 23 we are presenting our new futuristic Tamikan Space Gal Cybe at Myth Characters BJD exhibition in Moscow, and there we will announce the dates of her preorder. We are determining last details of it so it will start before the International Doll Salon in October, 5-7, where you'll be able to make the acquaintance of her, too! Cybe is the first limited edition of Tamikan Space project, there will be no more that 42 such Gals, including our own dolls and full sets.